Have a great beach day on the white sands of Arashi, perfect for families to go snorkelling, swimming and sun-bathing. A favourite with locals, Arashi Beach boasts gentle currents and abundant underwater life, making it a perfect spot for snorkelling in the Caribbean. Arashi Beach is a white sand beach north of Malmok Beach, just off the road to the California Lighthouse, offering beach huts, a fun bar and large parking area. New features on this beach include showers, lounge chair rentals and occasionally live music at the bar. A fun beach for families! 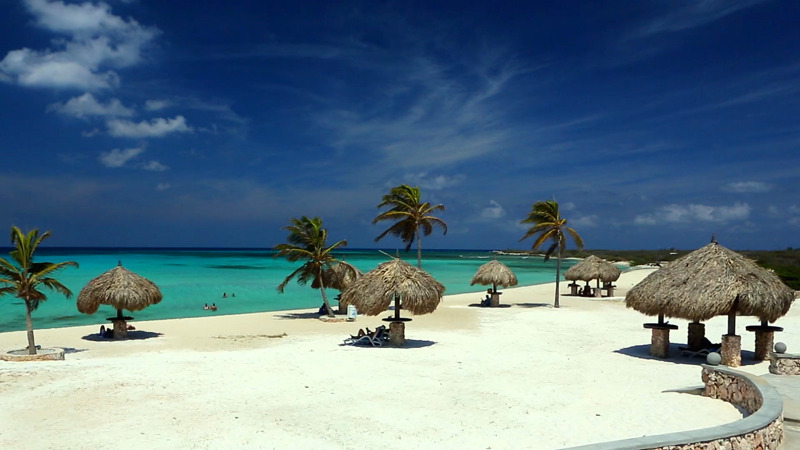 Arashi is an excellent location for sunbathing and just relaxing on the beach, or watching Aruba's spectacular sunsets. Due to a modest surf, swimmers have easy access, although beginner body-boarders will also have fun. When entering the sea to the left of this beach you will reach an excellent snorkelling area with a rich underwater life.